Have you ever felt like you just don’t have enough hours in the day? Do you wonder where all your time goes, and are you good at managing your time to get the things done you need to? I have many days when I feel completely overwhelmed by my own “to do” list. Time is the one thing that is so precious and very hard to come by. Being in the fitness and nutrition industry, I constantly hear from potential clients “I don’t have enough time to eat healthy or workout.” The truth is, none of us have time. We are working full time, caring for house, family, pets, trying to maintain a social life; it can be exhausting. You must make a conscious effort to fit health into your day/week. We recently offered a Meal Prep Made Easy workshop. We talked about why you want to you always be prepared. Your health journey should first begin with getting your food in order. If you are struggling right out of the gate, book a consultation with a health and wellness coach, Nutrition counselor (how convenient, we happen to offer that service here at In8 Wellness). Once you have a plan you can start off simple and implement some very basic “hacks” to keep yourself moving forward in the direction of your goals. First, arm yourself and your kitchen with some basic tools: A crockpot, blender/ (Vitamix/food processor), food storage containers, cast iron skillet, muffin tin and useful but not necessary, a rice/veggie steamer. A grill or grill pan is always helpful. Second, organize your thoughts and pick a day or several days where you know you can set aside time to prep some food. Third, decide on things or recipes you would like to make. Remember, proteins, carbohydrates, veggies. Here is an example: Protein for the week- Chicken and ground beef; Carbohydrates- Sweet potato, brown rice and Vegetables- spinach, riced cauliflower. Fourth, start putting together your shopping list. Break your list up into Proteins, Carbohydrates, Fats, Fruits and Vegetables. In the beginning you may want to keep your meals basic and simple. Once you start preparing food, cook in bulk. Foods can always be frozen. Pair your meals in as balanced a fashion as possible, using the containers to keep portions in alignment with your goals. This is where your coach can be invaluable. Another great hack would be to cook a whole chicken or even a small turkey if you have a family to feed. You can make several meals from just one chicken or turkey. 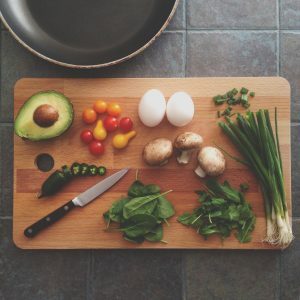 If your schedule is just too full and you are struggling with time, another shortcut might be to hire a private chef or use a meal prep company. Today there are many companies that will send you food ready to cook or send you food already cooked and portioned. A few hours per week, can truly keep you on track with your health goals. If being prepared has consistently derailed your goals, I strongly urge you to set up a consultation with me. Let me point you in the right direction and keep you moving forward. At In8 Wellness Center we want all of our clients to be and feel successful.